Affiliate Marketplace: Now, let’s understand some of the common terminologies in the affiliate marketing industry. You will be reading & hearing these words every time you learn anything about “Affiliate Marketing” or “Digital Marketing”. 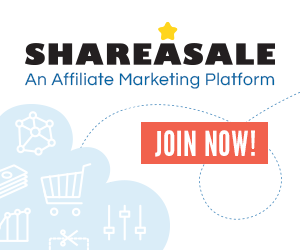 Affiliates: Publishers (like you and me) who join an affiliate program. Affiliate Software: Software used by companies to create an in-house affiliate program for their product. This is not so important at this stage, but it’s good to know about. Ex: iDevaffiliate, HasOffers. Affiliate ID: This is similar to an affiliate link, but a little different. In some cases, many affiliate programs offer a “unique ID” which you can then add to any page of the product site (example: a2cart.com/AffiliateID). Affiliate Manager: When you join an affiliate program (directly or using a marketplace), there is always an affiliate manager associated with it. Affiliate managers are central to many things. You should always build a good relationship with your affiliate managers. They will help you to get increased commissions and give you a heads-up about new offers. Payment Mode/Method: Different affiliate programs offer different methods of payment. Common payment modes include: Check, Wire transfer, PayPal, Payoneer, and many others. PayPal: This is most common payment method to receiving affiliate earnings. You need to create a PayPal account if you don’t already have one. Companies will send you payment to PayPal & from PayPal it will be transferred to your bank account. Payoneer: This is another payment program that you will be using to receive affiliate commissions. Payoneer offers a Master Card and you can use it as a debit card. You can also transfer money from Payoneer to your bank account. Wire transfer: Many companies offer direct deposit & whenever possible, you should prefer this method as this will save you a lot of money. When you use PayPal or Payoneer, you will be paying a small amount as a service charge. With wire transfer (ACH), you will not be paying any service fees. Check: I know it’s funny to hear that some companies do not offer digital payment. One of these companies, Aweber (popular email-marketing system), offers affiliate payment via paper check only. I personally find this stupid, but at times, we can’t do much but follow the company’s guidelines to get paid. Commission Percentage/Amount: The amount or percentage of commission you will be getting for every sale via your affiliate link. Many companies offer fixed percentages of the sale amount (Ex: 30%) & many others offer fixed rates per sale (Ex: $25). Two Tier Affiliate Marketing: This is a great way of making money from an affiliate program. In this, you recommend others to join a particular affiliate program, and you will get a commission when your sub-affiliates make sales. This is like MLM (multi-level marketing), but in a totally legit way. This is also popularly known as Sub-Affiliate Commissions. Landing Page: A unique product sales or demo page which is used to increase sales. The purpose of the landing page is to direct traffic to take a desired action. It could be as simple as subscribing to your email newsletter or buying a product. You can learn more when I finish my next eBook on email marketing, but for now you need to know that landing pages are very useful. You can use software like LeadPages to create a professional landing page. Custom/Special Affiliate Offer: Many companies usually have special offers for their affiliate partners who are giving them a good amount of sales. These affiliates are called “Super Affiliates”. You should focus on being one of them. Link Cloaking: Most affiliate tracking links are ugly. Link cloaking allows you to turn ugly looking links into easily readable and attractive links. I have shared the complete tutorial on link cloaking in a later part of this eBook. Custom Coupons: Many programs let affiliates create custom coupons, which is also used to track sales. Also, custom discount coupons help you increase affiliate sales. If you are giving a good number of sales to any particular merchant, you can always ask affiliate managers to give you an exclusive coupon code. This also helps in the branding of your service/blog/website.